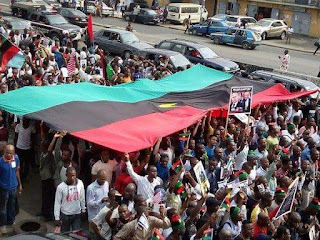 We the global family of the Indigenous People of Biafra (IPOB) ably led by our supreme leader and prophet of our time Mazi Nnamdi Kanu will stand on the decision of election boycott in Biafraland on the 16th of February 2019, the boycott of presidential election next month will showcase our readiness, determination and seriousness in the pursuit for Biafra freedom and sovereignty. It is important we notify our people mostly politicians, clergymen and women including pastors who strongly believe in rebuilding one Nigeria to retrace their steps because Nigeria Government and it’s leadership has been hijacked by Fulani people. Fulanis are parasites and stranger in Nigeria today but unfortunate that they controls over 200 million Indigenous Population because of British support to them. Our leader Mazi Nnamdi Kanu during his weekly radio Biafra broadcast from the holy land of Israel on Saturday evening reaffirmed strongly to the people and gullible Nigerians who still doubt our stand towards boycotting the forthcoming presidential election next month. 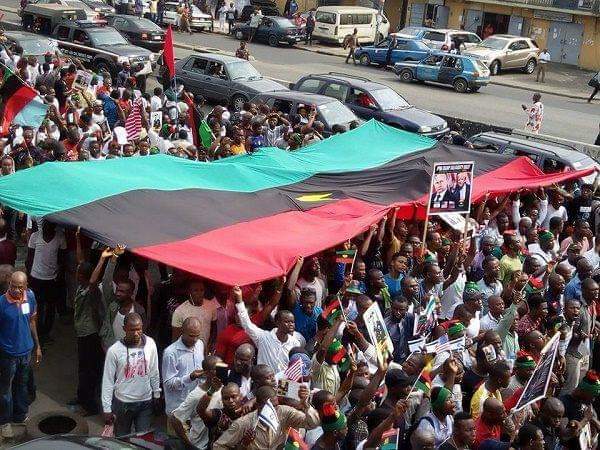 It is crystal clear that one of our major lethal weapons to achieve this present Biafra demand is civil disobedience, therefore we urge Biafrans, both home and abroad to advise and caution their families not to vote and totally boycott this coming election no matter the level of promises and inducement politicians of this days might have given them. In few days to come IPOB high command will release a blueprint and how this election boycott will be achieved and it’s benefit to Biafrans, IPOB will evoke high level of civil disobedience next month to make it effective so as Biafrans will realize how much determined we are. Federal Government of Nigeria, South East governors mostly Okezie Ikpeazu, David Umahi and Willie Obiano including Ohaneze Ndigbo led by Nnia Nwodo conspired and brought in operation python dance to frighten our people to trigger panic, apprehension and fear in the minds of Biafrans who believe in Biafra restoration project. IPOB will inevitably bring those governors and few Abuja/Lagos based politicians who believe in serving Hausa Fulani caliphate to account in no distant time. It is in the light of this recent distortion, twist and adulterated truth and propaganda against IPOB decision by unscrupulous individuals, groups and politicians in our land that prompted our supreme leader Mazi Nnamdi Kanu to come on air last week Saturday to state unequivocally without mincing words the position of IPOB in Abia and Ebonyi states gubernatorial elections come next month. Okezie Ikpeazu and David Umahi who unbeknown to most people has donated a portion of our sacred land of Biafra to Miyetti Allah cannot support Operation Python Dance and expect the people not to revolt accordingly. IPOB is at the front of this coming revolution next month. The potency of our agitation for Biafra will be made clear for all to see. We remain unwavering and determined as ever to bring this divine and ordained mission to its successful conclusion. Our freedom is paramount therefore ongoing politically motivated abductions, high levels of humiliation, intimidation, abduction, arrest, massacre and sponsored propaganda against a peaceful group like IPOB will not shake our resolve, instead it will make us stronger. You can now order Dangote cement in units or truck loads and get it delivered to your preferred door-step or construction site.Distributing directly from The main Factory to all parts of the country to Sub- distributors, Wholesalers, Retailers and End- users at a promo price of N1,3OO per Bag of Cement and N1O,OOO per 5OKG bag of RICE. Delivery is guaranteed within 48HRS after booking. Contact The Marketing Manager (Shehu Abubakar) on O8133549055 FOR BOOKINGS AND ENQUIRIES.